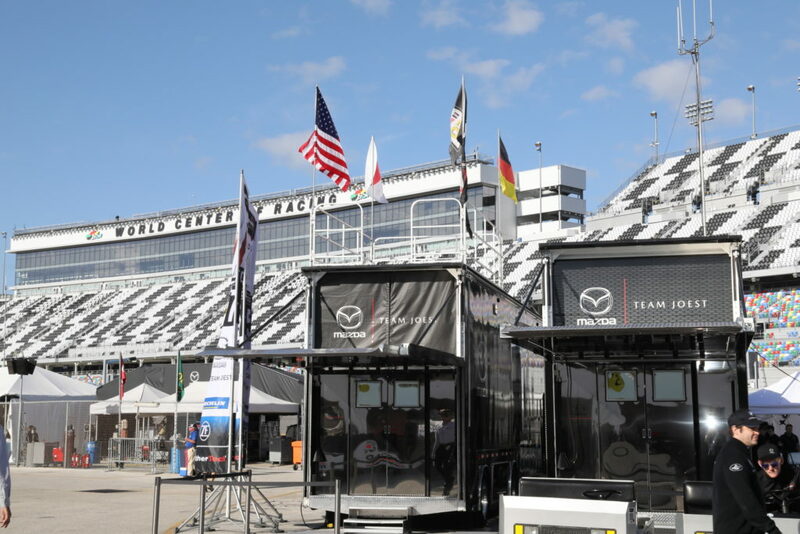 Trailers have arrived from around the US and the world at Daytona International Speedway in Florida on January 22 (Tue). 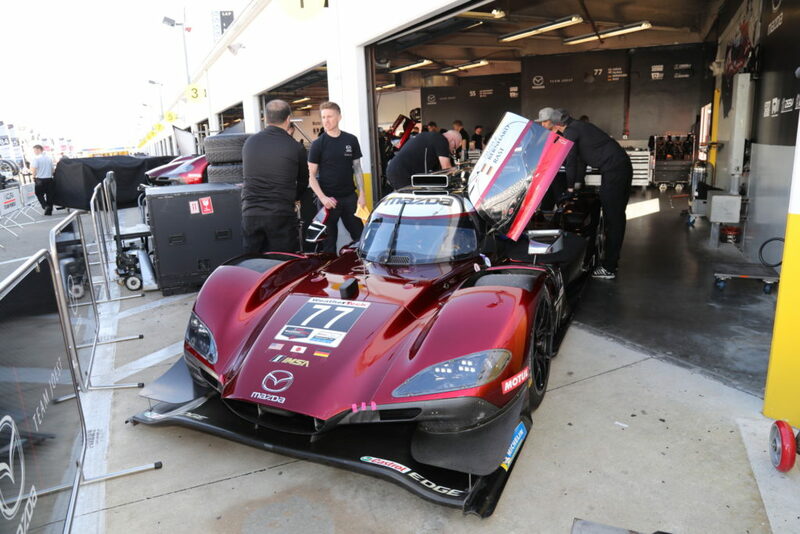 Each team has begun making preparations in the garages and pit boxes as they head into the official schedule for the opening round of the IMSA WeatherTech Sports Car Championship, the “57th Rolex 24 Hours of Daytona” starting on the 24th. 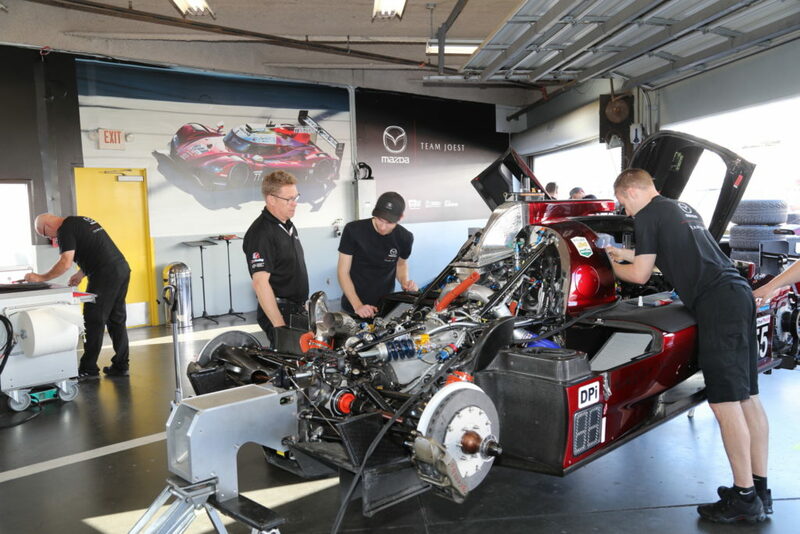 Mazda USA’s official team “Mazda Team Joest” had also settled in by the 22nd and is now awaiting the morning practice to be held on the 24th. 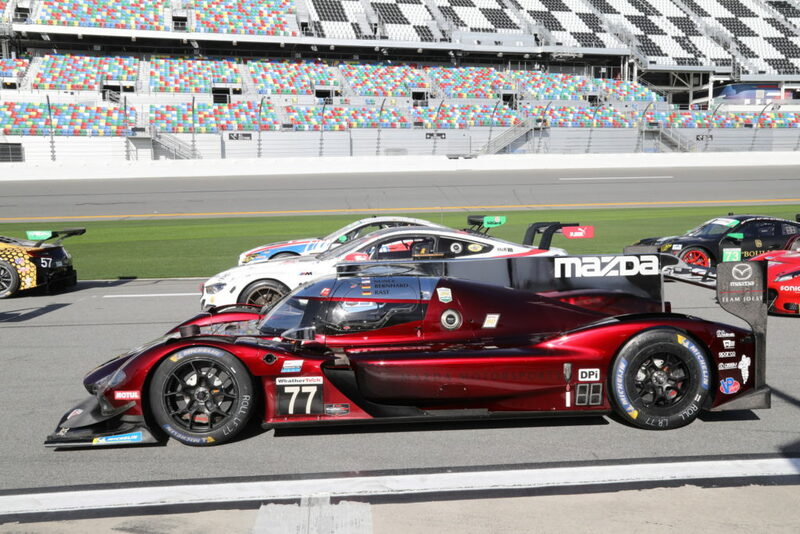 In the official test day held here on the 3rd of this month, prior to the 24-hour race, Oliver Jarvis (UK) in the #77 Mazda RT24-P recorded the top time of 1 min 33’398 seconds, officially rewriting the current record for the 3.56-mile course (approx. 5.7km incly. oval track and in-field). 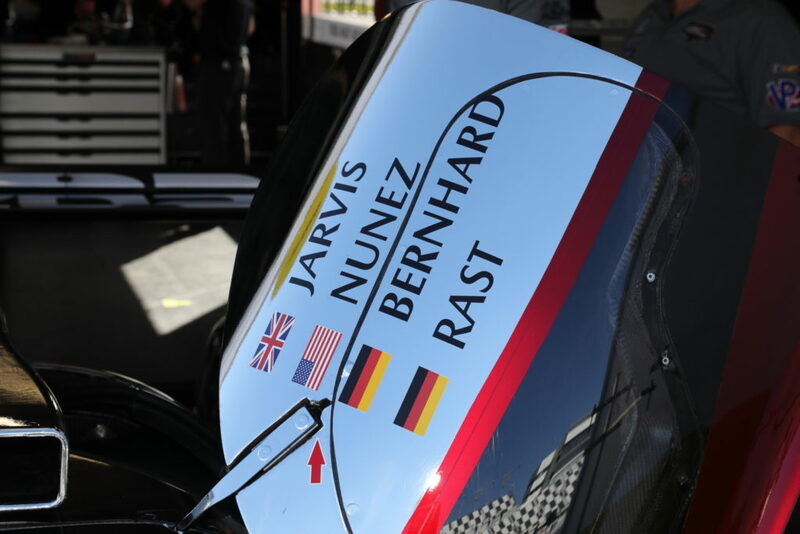 In addition to Jarvis, Porsche works driver, Timo Bernhard (Germany), Team Joest’s youngest driver Tristan Nunez (US), and 2017 DTM champion, René Rast (Germany) will take the wheel in this machine . 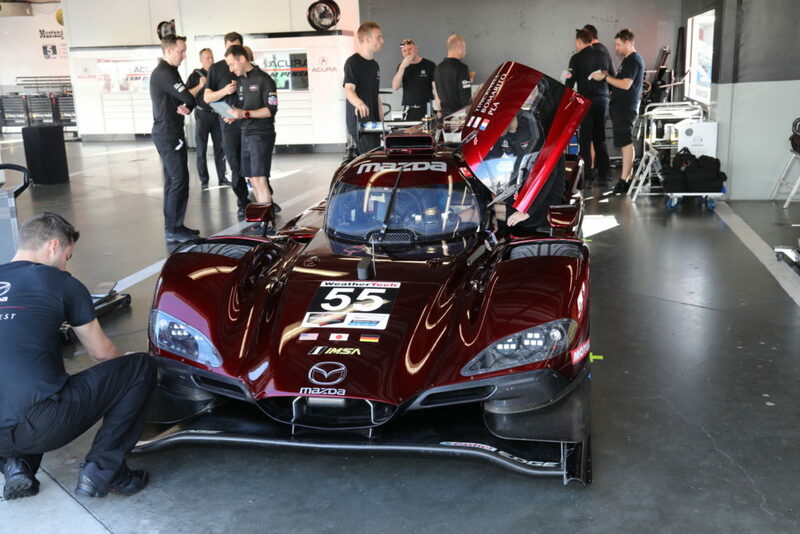 The #55 Mazda RT24-P will be driven by Jonathan Bomarito (USA), who took class victory in the 2010 24 Hours of Daytona in a Mazda RX-8 GT, Harry Tincknell (UK), and Olivier Pla (France). This #55 car also recorded the second fastest time following the #77 during the official test day. It was a Mazda RX-3 in 1975 that took the first class victory for a Mazda car at the 24 Hours of Daytona. After that, in 1979, two RX-7 GTUs competed as Mazda Works entries and achieved a 1-2 class finish, going on to record a total of 23 class victories until an RX-8 GT grabbed top honors in the GT class in 2010. The official qualifying will be held on the afternoon of the 24th (Thurs), and the final race will start at 14:35 on Saturday, 26th. 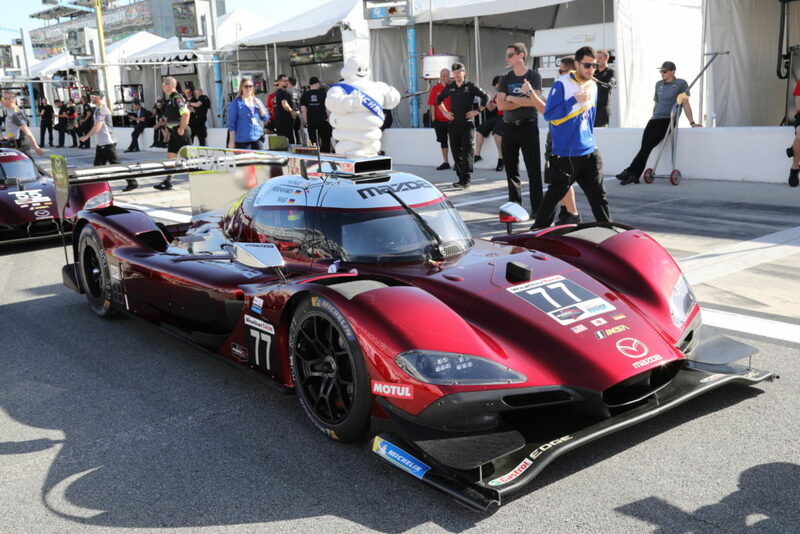 04/12 Sprint spec Mazda LMP2 SKYACTIV-D takes on the TUSC third round at Long Beach.